July 25, 2018 Fortnite Playground mode has returned. You can expect a lot more goodies to play with this time. Ammo cans give 10x the amount of ammo, rocket ammo caps have gone way up, and chests are set to spawn three weapons and far more consumables than usual. 100 supply drops have been added, floor loot is more prolific, golf carts now spawn, and you’re far more likely to see high-tier vending machines. For all the changes, check out the Fortnite patch 5.1 notes. 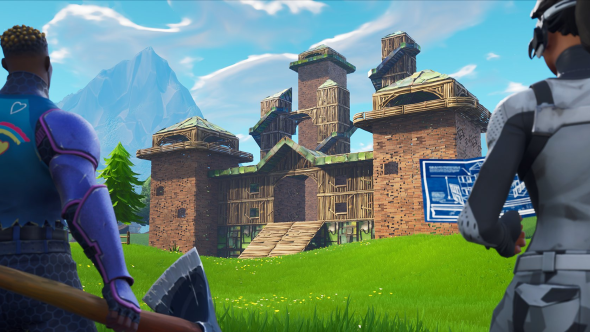 Playground comes delayed a day from the patch proper – but hey, it’s back now. The only question is for how long. Playground was only here for a short time when it first landed, though we haven’t had to wait that long for the mode to return, either. We do know that Epic plans to make Playground mode permanent at some point, though that will wait until it has the right combination of features to make it worth keeping. For now, play and enjoy as long as you can. The Fortnite week 3 challenges also go live tomorrow, so follow that link to check out our guide on how to complete them.